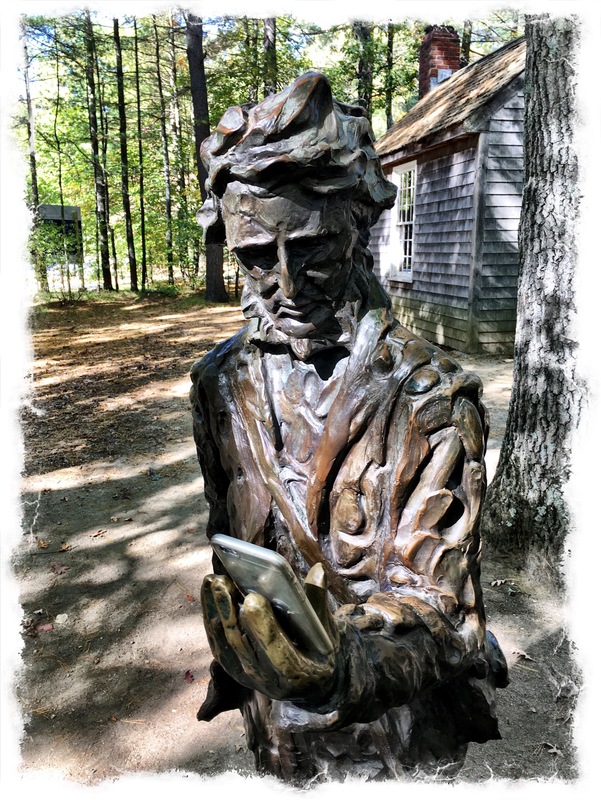 I tried to like Thoreau. I admire his sparseness. I almost bought a Simplicity Tshirt from the store. But would Thoreau approve? How many shirts did he have for his two years two months and two days at Walden Pond? And the winters in a one-room house. How much work did it take to stay warm during the long, low-light, bitter-cold season. It’s only 1.8 miles to Concord where he lived as a child. Did the two hour hike through snow and ice test his resolve. I think the book has the answer. If only I had the patience to sit through it. And would he laugh or cry at this photo? Or would he even care? Next > What SUP Portland Maine?